Having a good night’s sleep is probably one of the most pleasurable activities known to man, and nothing beats sleeping on a bed that’s been perfectly customised according to your needs and preferences. But while many bedding suppliers are still practising the one-design-fits-all philosophy, local bedding manufacturer European Bedding is leading the charge with its range of customisable organic latex mattresses. Made from the sap of the Hevea Brasiliensis rubber tree, organic latex mattresses are naturally elastic. This means that they can easily conform to your bodily curves while still providing the right support for optimal rest and relaxation. In addition to being extremely comfortable, these mattresses also boast good ventilation properties and are dust mite, mildew and mould resistant. And as if these qualities aren’t already impressive, these natural products are also free from pesticides and any other harmful chemicals. Unlike its counterparts, another feature the brand brings to the table is that they possess the skills and knowledge on how to customise their mattresses into any shape or size that their customers may require. This is especially important in a housing landscape where homes and rooms sometimes differ in size from one another. 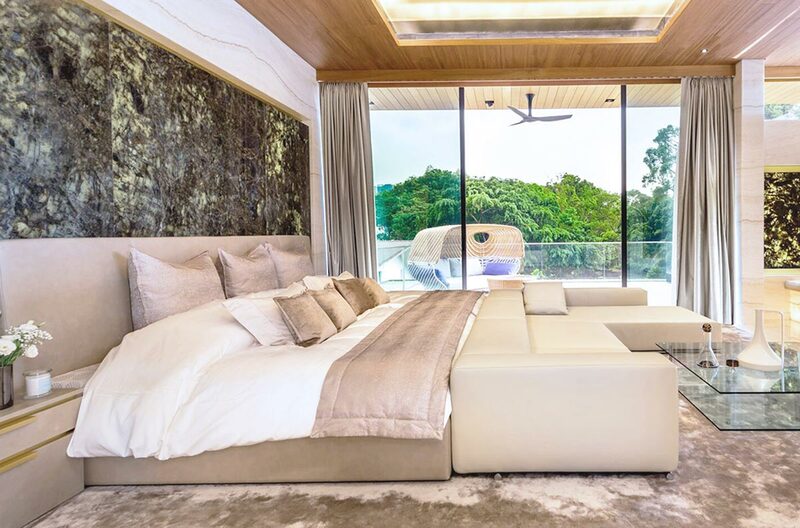 So whether you require a longer mattress because of your height or an odd-shaped mattress because of an unconventional room design, it is all possible with these made-to-order mattresses. If you’ve ever gone mattress shopping with a partner, you would know the difficulties that come with finding a suitable piece that can cater to two different requirements, where one party would oftentimes have to compromise on their sleeping comfort. But since European Bedding’s king-sized mattress comprises two units of 90cm x 200cm blocks that are enclosed within a single 180cm x 200cm cover, you can now pick two different firmness levels in one mattress – perfect if you want a firmer density and your partner prefers a softer one. Besides the mattress, the base is also an important element when you are customising the firmness level of your bed. That’s where European Bedding’s adjustable sprung slatted bases come in. 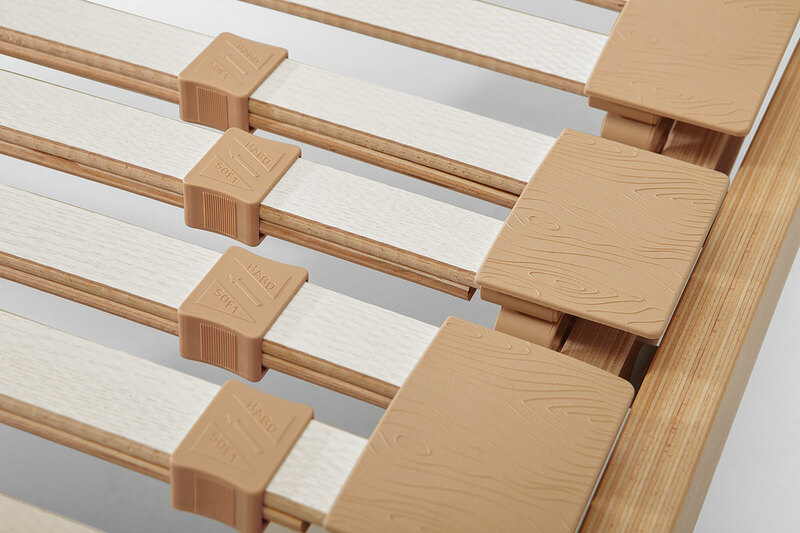 By positioning the sliders along each individual slat to the desired spot, the mattress’ level of springiness can then be adjusted for a softer, medium or firmer feel in some or all of the slats. And by allowing each half of the base to be separately adjusted to conform to the needs of each person, it then translates into an unparalleled and personalised sleeping experience for both you and your partner. The importance of a good and supportive mattress cannot be underestimated, and by offering quality support and personalised sleeping comforts, there’s no denying the contributions European Bedding’s organic latex mattresses will make towards creating an improved quality of life for you.